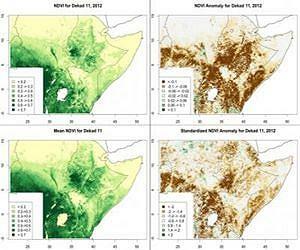 DC Salon: How Can We Make Data Useful for Development? Which if these data is actually useful to the beneficiaries we serve? How can they access and understand this data in realistic timeframes? And once they do, how can they affect the aid systems to improve development outcomes? Which data is useful to the aid donors and implementing community? What can we do to make it easier to consume and disseminate it within our disparate organizations? And how can we ensure that data-driven conclusions are acted upon? We'll have hot coffee and donuts for a morning rush, but seating is limited at IREX's headquarters. So RSVP ASAP to be confirmed for attendance - once we reach our 25-person capacity there will be a waitlist. The past decade has seen a huge increase in child and youth mobility. An estimated one-third of migrants from developing countries are between the ages of 12 and 25, including millions of children under the age of 18. Alongside the growth in children’s mobility, access to new technologies, specifically the mobile phone, has exploded. Yet most often, when child protection and ICTs are mentioned in the same sentence, it is with regard to cyber security and protecting children from the Internet or potential on-line predators. The potential positive and empowering role of ICTs in this area has not been fully explored. Children migrate and move for a host of reasons including to find work, to escape violence and abuse, or due to conflict, climate change or disaster. They may migrate with parents or other adults, or they may go alone or with others their age. The decision to migrate may be made by children themselves, or their parents may encourage them to move. When children move against their will, and /or in absence of protection services and actors, they become highly vulnerable. Can ICTs can help mitigate this vulnerability? Which new technologies are already accessible and being used by “children on the move” themselves? What ICTs are different organizations or government entities using to support protection for children on the move? 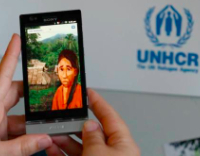 How could ICTs be used to advocate and change public opinion with regard to child migration? What are the specific challenges and risks when using ICTs to support and protect children on the move? We'll have hot coffee and donuts for a morning rush, but seating is limited. So RSVP ASAP to be confirmed for attendance - once we reach our 25-person capacity there will be a waitlist. How Can We Improve the Technology Salon? From it's start, we've always asked your feedback on how to make the Technology Salon better and more responsive to your needs. That's how we've grown to regular meetings in Washington DC, New York City, and San Francisco that bring together over 1,000 of your technology and development colleagues to influence foreign assistance around the world. 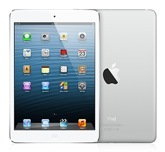 Take the Technology Salon Survey and you could win a Apple iPad Mini! The survey will ask a few questions on how we can improve the Salon. It should take you 5 minutes or so to complete and can be anonymous if you wish. If you leave your contact details, you will be entered into a drawing for an Apple iPad Mini - the newest tablet from Apple that's already sold out in North America. But you can only win if you complete the survey by midnight Eastern time on November 16th. We'll pick a winner at random the following week who will be getting an early Christmas present. Are you going to be in Nairobi on Friday, November 30th? Or do you have staff or friends there who would enjoy a Salon experience? Then let us know. We will be sending out an invitation soon for the first Technology Salon Nairobi and wanted to give you first dibs on attending what will be a definitive conversation at the nexus of technology and development in East Africa. Our meetings are lively conversations, not boring presentations. Attendance is capped at 25 people - and frank participation with ideas, opinions, and predictions is actively encouraged. It's also a great opportunity to meet others motivated to employ technology to solve vexing development problems. Join us today! You're receiving this email via your interest in the Technology Salon. I do hope you find it of value. Copyright (C) 2007-2011 Technology Salon All rights reserved.